The AQI between the range of 51 to 100 is considered as satisfactory, 101-200 is moderate, 201-300 comes under the poor category, whereas 401-500 range is severe. NEW DELHI: Delhi-National Capital Region has been reeling from bouts of pollution for last few days due to stubble burning in the neighbouring states of Punjab and Haryana. According to the System of Air Quality and Weather Forecasting and Research (SAFAR), the Air Quality Index (AQI) in Delhi on Saturday morning 699, which is considered way above hazardous. 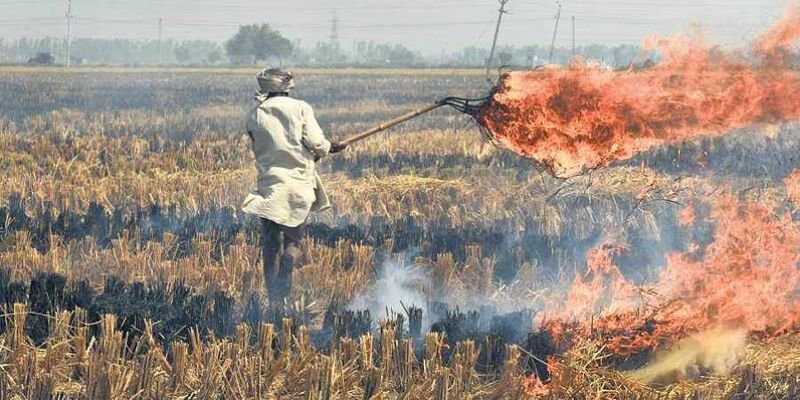 Delhi Environment Minister Imran Hussain had earlier stated that the poor farmers are burning stubble as they have not been incentivised adequately. Toxic air has affected not just north India. Mumbai's pollution plight has also got worse with the climate change as haze continued to cover the millennium city's skyline for the second day on Saturday. Though not as severe as in Delhi, yet the AQI is 175, which is quite high by Mumbai's standards. It is likely to go up in the coming days. Environmentalists believe, if the showbiz capital needs to be developed into as a smart city on the lines of Shanghai then authorities need to take steps to mitigate the pollution. Singapore faced a similar situation in 2015. In order to provide relief to its citizens, the government there introduced the Haze Subsidy scheme, which provided affordable treatment for haze-related conditions to elderly, children and poor. The climate change has also adversely affected the snow-laden peaks and landscapes of Himachal Pradesh. The untimely snowfall in Lahul Spiti which is at least 3000 metres above the sea level, has resulted in the loss of crops such as cabbage, apple, potatoes etc. This area usually receives a heavy snowfall between December and April. Over the last few decades, scientists from around the world have been warning of rising atmospheric concentrations of greenhouse gases from the burning of fossil fuels. This, in turn, adversely affects the climate, leading to ocean acidity and the frequency of freak weather. The latest report circulated on October 8 by the Intergovernmental Panel on Climate Change (IPCC) has predicted that if climatic change continues for next several years, then people will be at a greater risk of injury, disease and even death due to more intense heat waves and fires. The organisation also said that risks of food and water-borne diseases and vector-borne diseases will also be increased. It also predicted that by 2100, few parts of the world will experience 4-7°C higher temperatures. These factors have raised concerns about the habitability of certain areas.